hair's thickness, restructure damaged hair and prevent new damage from occurring, while nourishing and soothing hair. 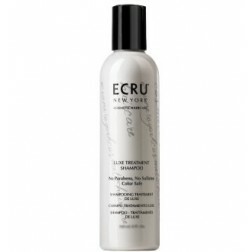 Ecru Silk Nectar Serum A light, fragrant balm that provides optimum styling results while treating and nourishing all hair types. HOW IT TREATS: Algae Extracts, Wheat Amino Acids, Vitamin B, Linden and Chamomile Extracts, Keratin and Hydrolized Silk Proteins work together to increase hair's thickness, restructure damaged hair and prevent new damage from occurring, while nourishing and soothing hair and scalp. HOW IT PERFORMS: Apply as desired to damp hair. 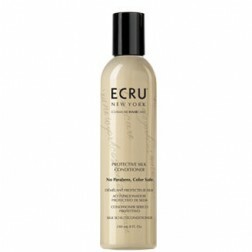 Penetrates immediately to increase fullness, impart shine and provide weightless hold for styling. Will never leave hair flaky, gummy or weighed-down.